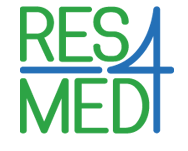 RES4Med&Africa is organizing a conference focused on the role of the innovation in the African continent and how innovation can boost the RE sector providing new solutions, business-wise and technological-wise, to foster growth and health for the continent. The conference, carried out in collaboration with RINA, SAPVIA, SAREC, SAWEA and the Italian-South African Chamber of Trade and Industries, aims at presenting the context of the RE sector in South Africa and in the Sub-Saharan regions, pushing on the challenges and opportunities to secure and boost renewable energy (RE) investments in Africa through the innovation and a robust regulatory framework. The conference will be also an occasion for start-ups to pitch their ideas on specific field of application in the RE sector with a special focus on sustainability. Around 15 start-ups will be presenting their solutions in front of investors and venture capitalists giving them the opportunity to scale up their business. On the other hand this will represent an occasion for big companies operating in the RE sector to capture new ideas and new business model to be exploited to capture the untapped potential of the African continent. Building on RES4Med&Africa’s unique role as a public-private cooperation platform, the conference presents an ideal occasion for proactive dialogue on how to develop the vast potential of the South African’s RE market together with local institutions, the most relevant stakeholders of the South African RE sector and international companies within the RES4Med&Africa network.